We know that certain things in the world are destined to resemble each like kids look similar to their parents but there are some unexpected things in the world that look unbelievably similar to each other. These things will be the last to come in your mind when you think of similar things in the world. Not just one or two features, their shape and posture look completely similar to the other things with which they are being compared. We have collected some photographs of some unexpected things that look so similar to each other that it will blow your mind. 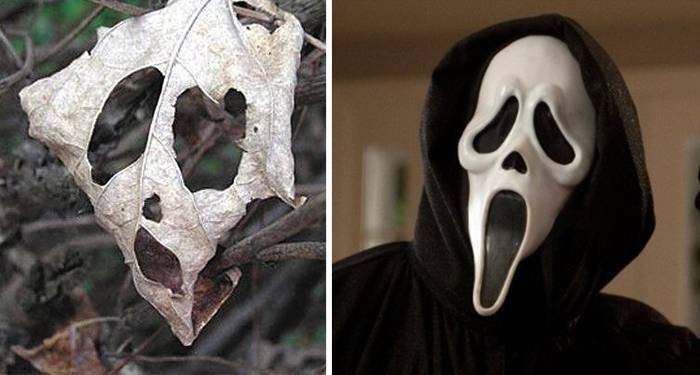 You won’t have expected these different things to have so much resemblance with each other. This comparison is guaranteed to make you laugh and it will leave you in splits. 1. This cat and the roasted chicken look quite similar to each other. Don’t they? 2. 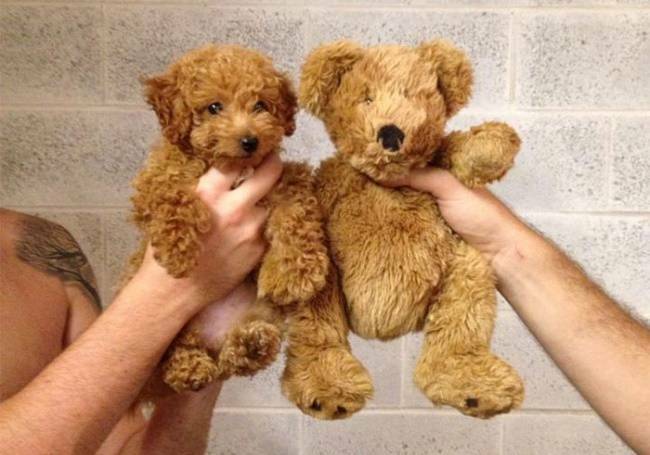 You need to look twice to find out who’s the dog and the teddy in this picture. 3. 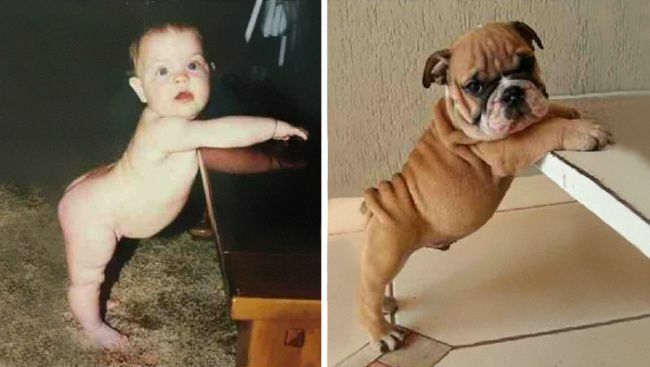 Isn’t the posture of this baby is strikingly similar to the little puppy? 4. Sorry, but young Justin Timberlake’s hairs are worth laughing. 5. 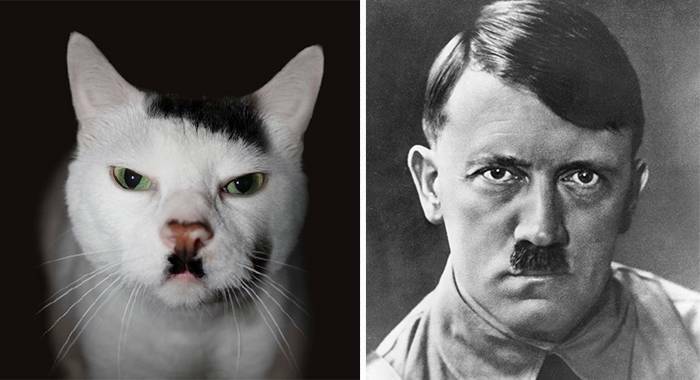 We really hope that this cat doesn’t possess the evil intentions of the Hitler. 6. 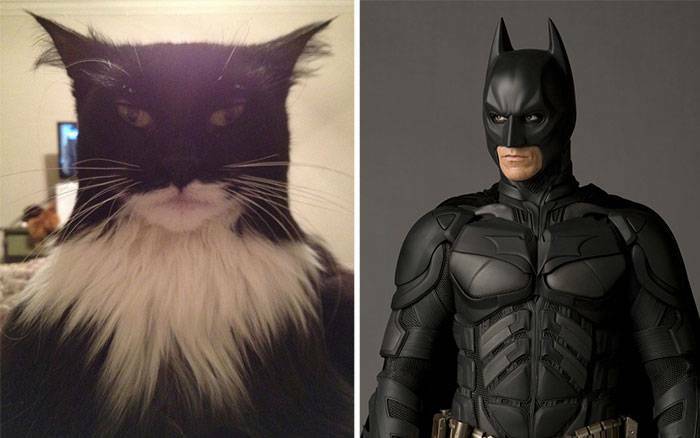 Batman fans, we present you the BatCat. 7. Apparently, Inspiration can come from anywhere and especially from unexpected things. 8. This kid must be an Egyptian Pharaoh in his last birth. 9. 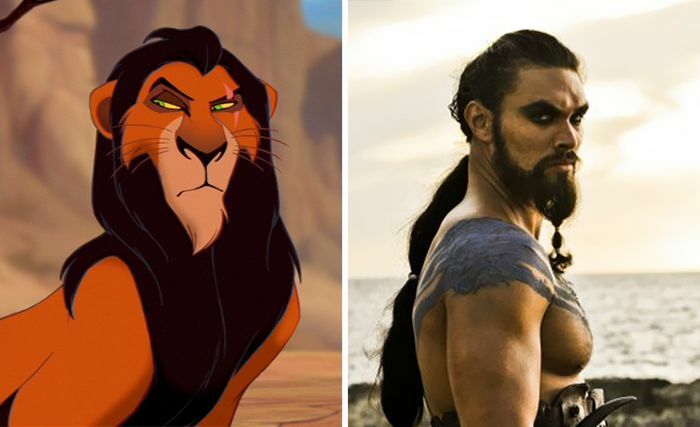 Looks like the character of Khal Drogo is inspired from the movie The Lion King. 10. 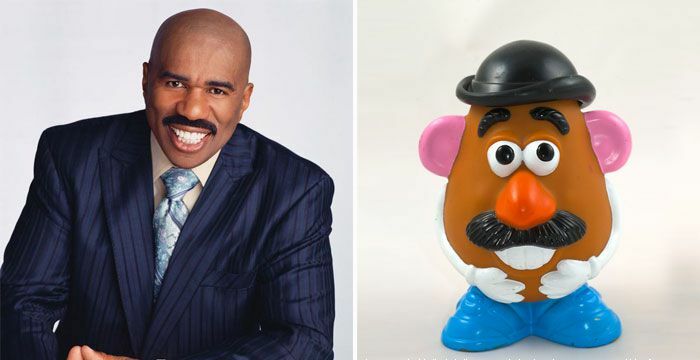 Doesn’t Steve Harvey look strikingly similar to the Mr. Potato Head? Related: 10 Expectation vs Reality Memes That Will Make You Go ROFL. Isn’t the resemblance between the above unexpected things made you laugh hard? If yes, then share this hilarious article with your friends and loved ones.